The most poignant part of the recent Irish Times piece, “Wild Atlantic Way: whales and wonder along Cork’s Haven Coast” is simply put by local skipper, Colin Barnes. He underlines the popularity of local whale-watching tours in West Cork by saying that “People go to Iceland, Newfoundland and New Zealand to see these creatures, but you can see the exact same here.” Cork’s Haven Coastline (from Kinsale to Bantry) provides a potential viewpoint for marine wildlife at every turn. It is recognised as one of the best whale-watching destinations in Europe. The number of headlands, peninsulas and embayments of the Haven Coast, part of the Wild Atlantic Way tourist route, makes viewing larger marine wildlife common. This includes several species of whale (fin, minke & humpback) as well as dolphins, porpoises and basking sharks. Often, these marine leviathans come close to shore. We have viewed passing whales from Keameen Point or Sandscove, just a short walk from Ballynoe House. We have also seen them from the observation deck at Galley Head lighthouse, or passing the Sheep’s Head Lighthouse outbound from Bantry Bay. Just follow local blogs and Facebook pages of tour operators and their clients to see videos of personal visits by cetaceans. There are some spectacular images of both minke whales and basking sharks breaching off Baltimore. In 2016, just a short walk from Ballynoe House, a Basking Shark was filmed off the beach at Red Strand. 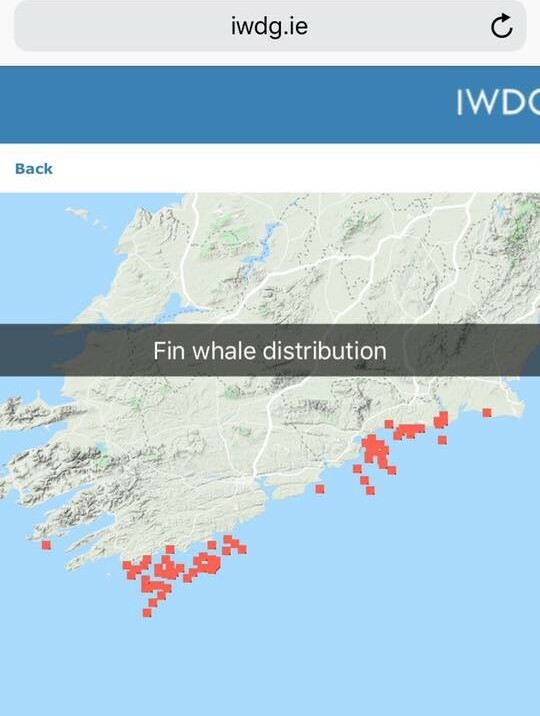 The recorded sighting of various species of whale by the IWDG around the coast of West Cork just shows that it is a world-class location. Of course, smaller marine life is the freshest of options in most restaurants, pubs and diners. From the ubiquitous fish and chips to something served gourmet-style. So, after many a local walk there is a surfeit of recommendations for places to refuel. West Cork was voted as the Foodie Capital of Ireland. To maintain that perfect life balance of food and exercise, all those additional calories can easily be burned off. 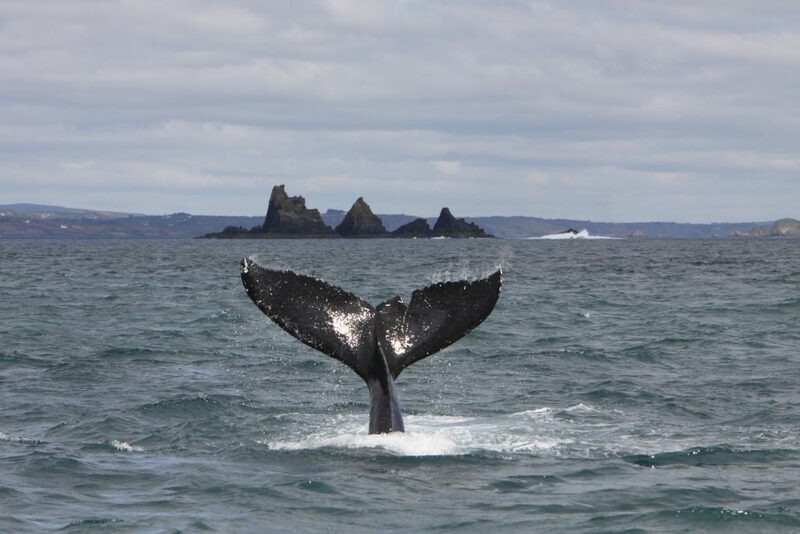 Atlantic Whale Watching & Wildlife Tours out of Courtmacsherry as well as skipper Colin Barnes’ Cork Whale Watch from Reen Pier, near Union Hall, offers unique boating experiences. They are only a short drive from Ballynoe House. 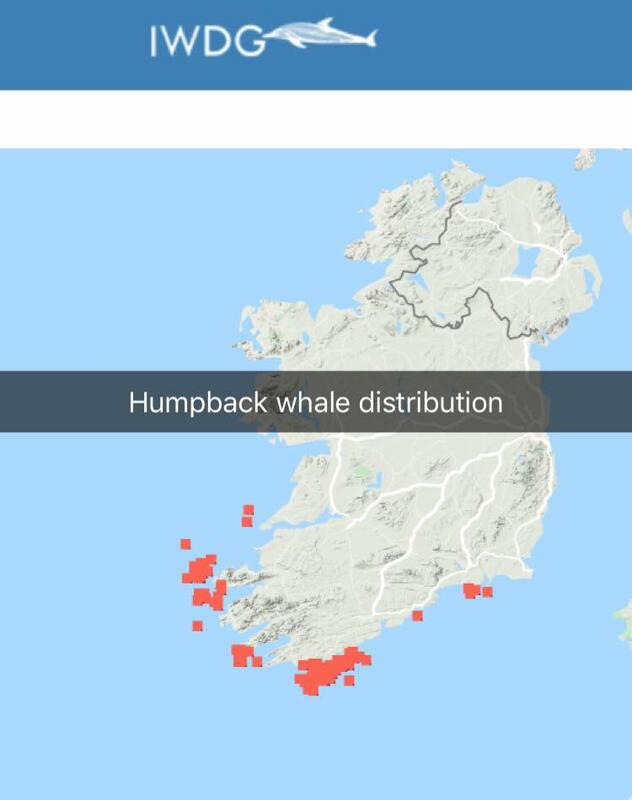 Further West, Whale Watch West Cork offers boat tours out of Baltimore harbour. The Stags are rocks can be seen from Ardfield and the coastline near Ballynoe House. Book now to stay with us. We can help you to pre-book a whale watching trip during your stay.